I'm thinking of starting a new group: Book-Aholics Anonymous. Group members would come and share about their obsession with books, curriculum, and other educational materials. About the embarrassment and shame of having piles of books on all horizontal surfaces, and seating. Of bookshelves overflowing. "We love this book and now we'll have a back-up if ours gets ruined"
"I need a spare to loan out to friends"
"If I buy multiple copies, my kids can follow along and take turns reading aloud the book for our own home-based reading club!" Please tell me that I'm not the only one who struggles with loving books too much! I even like picking up book guides to help me buy more books! Some of my favorites are Honey for a Child's Heart by Gladys Hunt, Books Kids Love by Elizabeth Wilson, Who Then Shall We Read by Jan Bloom, and The Read-Aloud Handbook by Jim Trelease. Please leave a valid e-mail address so I can contact you for shipping information. Just to clarify, this is a used book. It was a former library book so it has the library name, spine marking, and bar code remnant on the cover. The book itself, however, is in great condition with tight binding and no writing (except for library name crossed out). The giveway is open until August 31 and is open to US residents only. 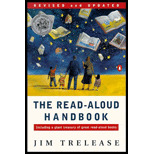 What makes The Read-Aloud Handbook stand out from other guides is how much of the book is devoted to the reasons to read to your children. We've all heard about the importance of reading aloud but it's so easily skipped on a busy day when we are racing from one destination to another. I really enjoyed reading some of the stories Trelease includes about ways reading has literally transformed lives and families. The copy I'm giving away was printed in 1995 so not all of the statistics will be up to date (the current ones are probably even more alarming!) but the principles still hold true and I think you'll really enjoy learning from someone who is absolutely passionate about the subject of reading. You might also enjoy checking out the author's website where you can read excerpts from his book and browse through a variety of resources listed. Please spread the word about my giveaway and I look forward to hearing abour your own book obsessions! Disclaimer: I did not receive any compensation for this review or give-away. It's just a great book I love and want to share with one of my readers. The opinions expressed are my own. This is a great resource that I've gotten from our library from time to time. It would be great to have my own! Thanks! I'm a follower now and just subscribed by email as well. I'm a fellow-book lover and homeschooler. Oh Jill You are NOT alone. I have recently started a co-op and one of the things I do BEFORE having the moms who are helping ready materials for our classes come by.. is remove piles of books. At least if they are piled in the room we call the library they LOOK like they are sort of organized right? I'd love to have a copy of that! I checked it out from the library awhile back, but they made me give it back. My love for books is nicely balanced by my innate cheapness, which means I spend a lot of time at the library. Hi Jill! I would love to have this book. It is one I don't already have which is hard to believe. :) I would rather buy books than new clothes! I am now following your blog and I subscribed too. I have The Book Tree but did not know about this this little gem of a reference. I am always in search of great read aloud books. Thanks! Thank you for the giveaway. I have been watching this book for a while now. Would love to have it. I am now following your blog and I subscribed too. Yes! I want it! That book looks so fascinating. And I'm glad to find a group of other book lovers. My only problem is money. There's never enough left in the budget at the end of the month to buy all the books I'd like to own! Stepping Heavenward by Elizabeth Prentiss (written in 1891) and Safely Home by Randy Alcorn. The Bait of Satan (non-fiction) by John Bevere is another excellent book that I have bought and passed on to many people. A copy I handed out even made the rounds in Africa. Not only do I love giving these books away, I also love revisiting them. I read Stepping Heavenward every year and it never gets old. Thank you for being for your generosity in this giveaway. Would love to be entered in teh giveaway! couldn't help but add my .02 cents worth. I love, love, love books. Like you, I have extras of toooo many books. One thing I do now is keep some of the duplicates in the car, and whenever we are at a park or w/ friends, I pull a couple out and ask whether they have them. If not, voila! a book gift. 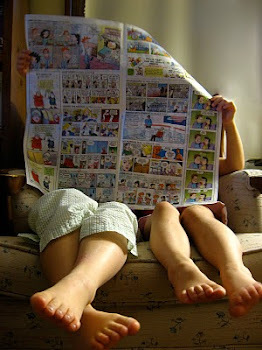 one of the most gratifying things for me is sharing books that we love. when someone tells me later that he too loved the book, i need no greater thanks. I also have at least one copy of this (Jim Trelease) book and if I wasn't in the midst of moving, I would offer to have you offer what I think is an extra (one or two). Paperback Swap is a fun idea, but too ordered for my life right now (mailing books on demand w/in a day or two). Glad that I am not alone w/ books. How do you all store/shelve them? I have book cases everywhere. Three in the upstairs hallway. Three in the living room. One in each bedroom. I have book in boxes that won't fit on the shelves I have. I keep buying them. I love old books and buy them at a local surplus place that sell them for 10 cents each. I buy them on amazon. I buy them at the used book sale our homeschool group has each year. And that is not enough I borrow them from the library weekly. I LOVE books. I signed up to subscribe to your blog by e-mail.